"Addison Coleman’s life is one big “What if?” As a Searcher, whenever Addie is faced with a choice, she can look into the future and see both outcomes. It’s the ultimate insurance plan against disaster. Or so she thought. 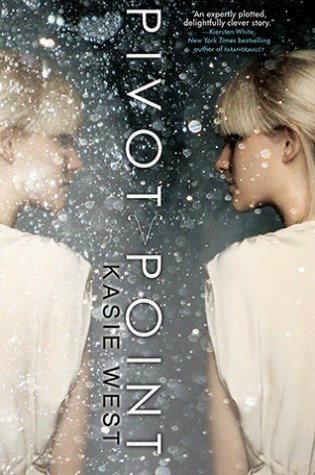 When Addie’s parents ambush her with the news of their divorce, she has to pick who she wants to live with—her father, who is leaving the paranormal compound to live among the “Norms,” or her mother, who is staying in the life Addie has always known. Addie loves her life just as it is, so her answer should be easy. One Search six weeks into the future proves it’s not. In one potential future, Addie is adjusting to life outside the Compound as the new girl in a Norm high school where she meets Trevor, a cute, sensitive artist who understands her. In the other path, Addie is being pursued by the hottest guy in school—but she never wanted to be a quarterback’s girlfriend. When Addie’s father is asked to consult on a murder in the Compound, she’s unwittingly drawn into a dangerous game that threatens everything she holds dear. With love and loss in both lives, it all comes down to which reality she’s willing to live through . . . and who she can’t live without"